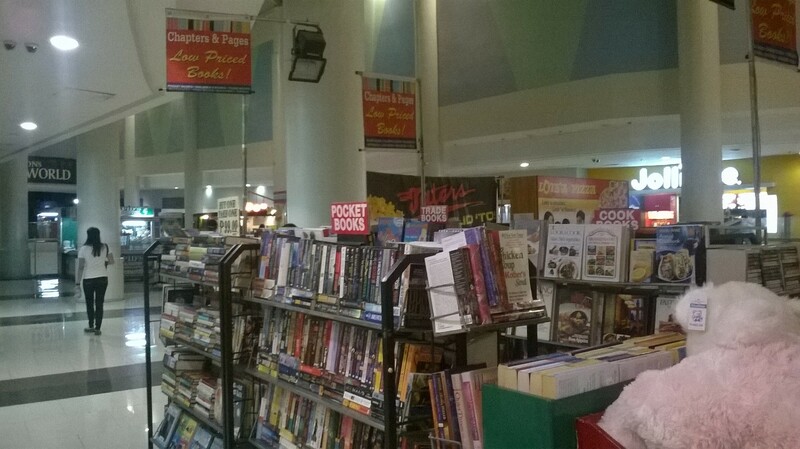 My post’s title could not have said it more directly: Robinsons Place Ermita needs more stores that sell books. I don’t want to think that books don’t sell there, it’s just a matter of putting them in good locations and basically existing. Put them there and people will come. I remember a Dymocks branch when I was in college at the Faura Wing, where Healthway is now. It was huge and pretty but it must have been the entire Dymocks franchise that pulled out because I don’t see any at all now. 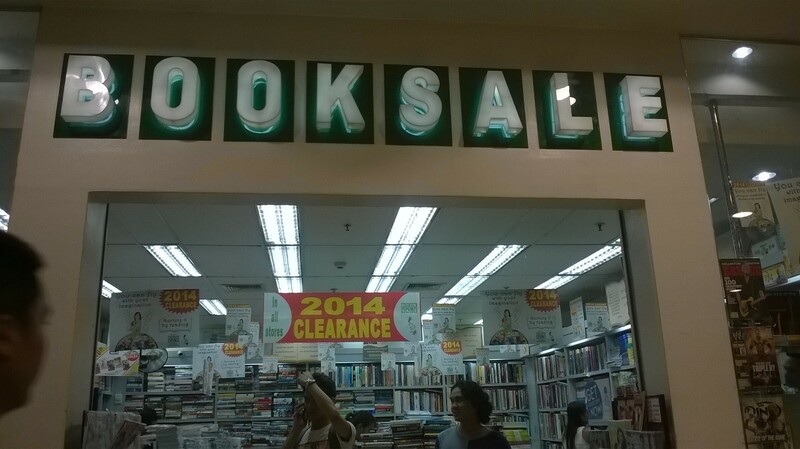 Powerbooks closed last year, replaced by Yakimix. 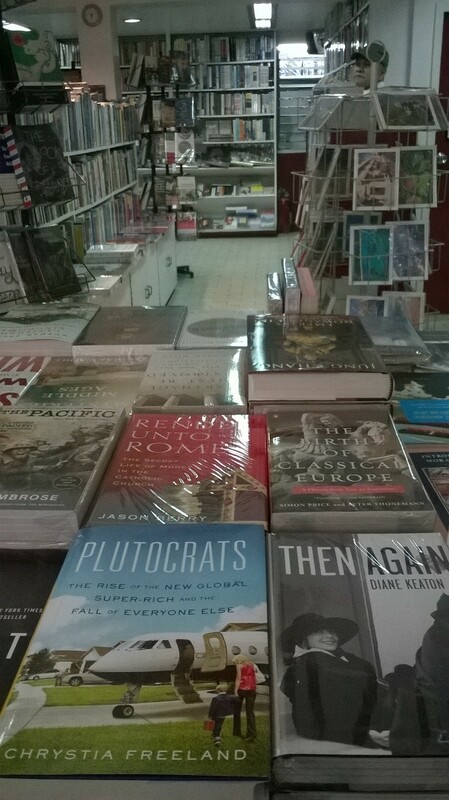 I saw the branch manager in Powerbooks Shangri-La (so nakilala ko pa tlaga sya, di ba? ), and he said it’s going to re-open, he just did not know when and where in the area, because apparently Robinsons wanted the wing where they were to be solely composed of restaurants. 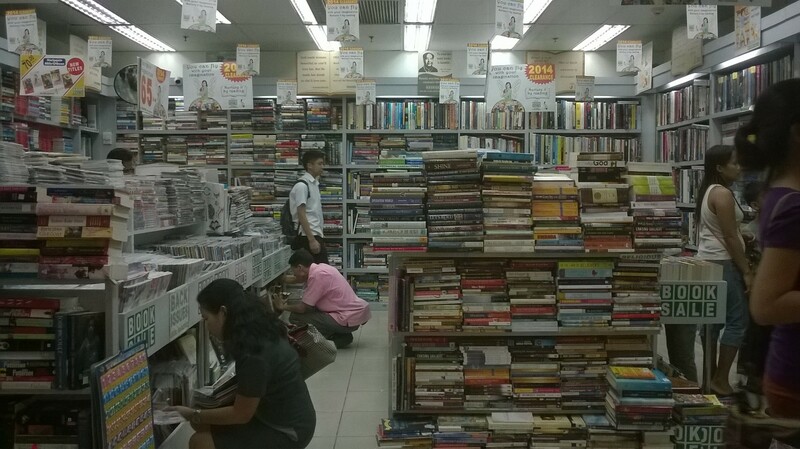 With other Powerbooks branches closing or shrinking, I don’t want to hold my breath for a re-opening anymore. Thus my cry: Robinsons Ermita needs more bookstores for variety and more book choices. 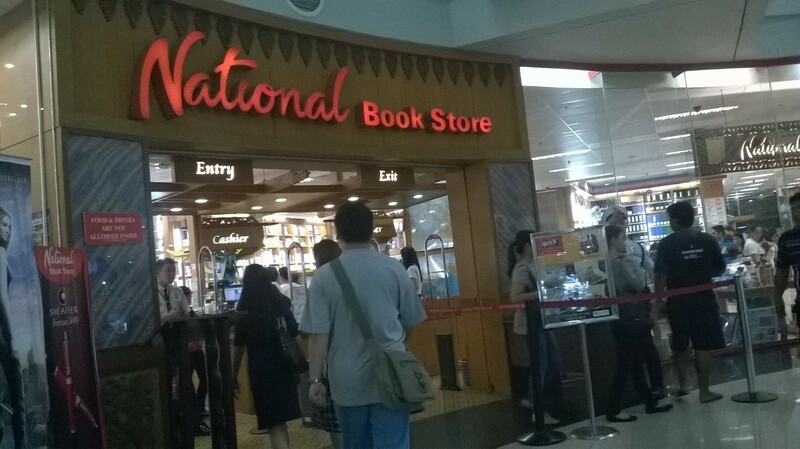 Face it, our dependable National Bookstore isn’t a sufficient source. If it can expand to accommodate more books, it would be a welcome change. Their shelves are not as extensive and need more organization, if I may say. There is also this permanent fixture of a sale table. Nothing has changed in the last three months or so: no new books added to the pile and no one has bought any anyway — as far as I can see. Up at the fourth floor next to Max’s is Chapters and Pages. There was another one of its kind in front of Paeng’s Bowling Center but it disappeared. This one has few but sometimes very good finds but with its location, I don’t think people would remember it when they come to the mall. Of course, Booksale. I am glad it is always full of people — whether they are buying or simply using it as a meeting place, it’s still good, I guess. They used to be right in the middle of the old wing where more people pass by but it’s not exactly conducive for book browsing. They have been at this area for close to three years now. 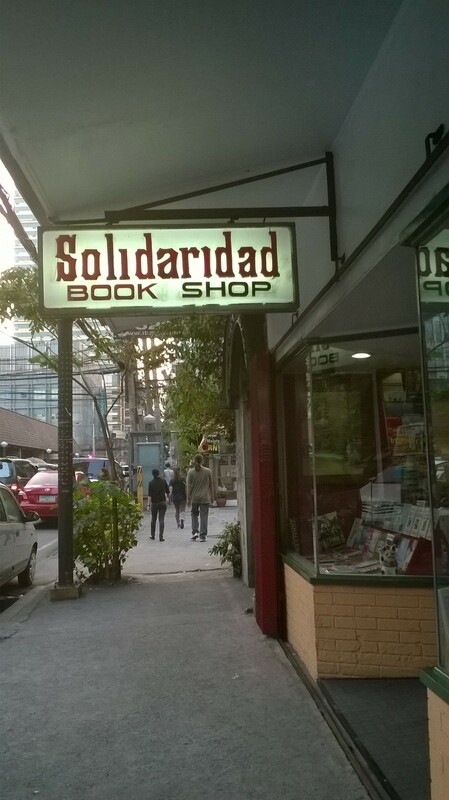 If you go outside the mall, at the Faura side, there’s the independent bookstore, Solidaridad. It does not carry contemporary mass market titles but it’s still a popular joint for readers. I like going here (and the sound of the bell when the door opens is music to my ears; weird ba?) even when I don’t buy anything, and I’m happy it continues to exist. 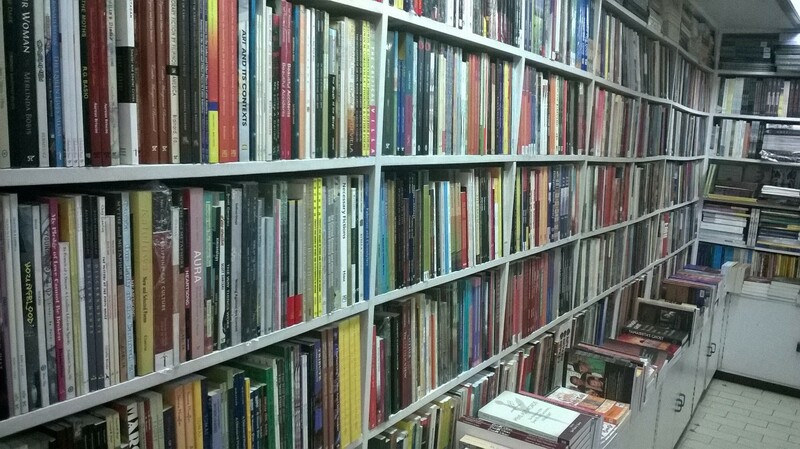 Inside Solidaridad where you will find a treasure trove of Filipiniana books. Still inside Solidaridad. They have very interesting collections of books.